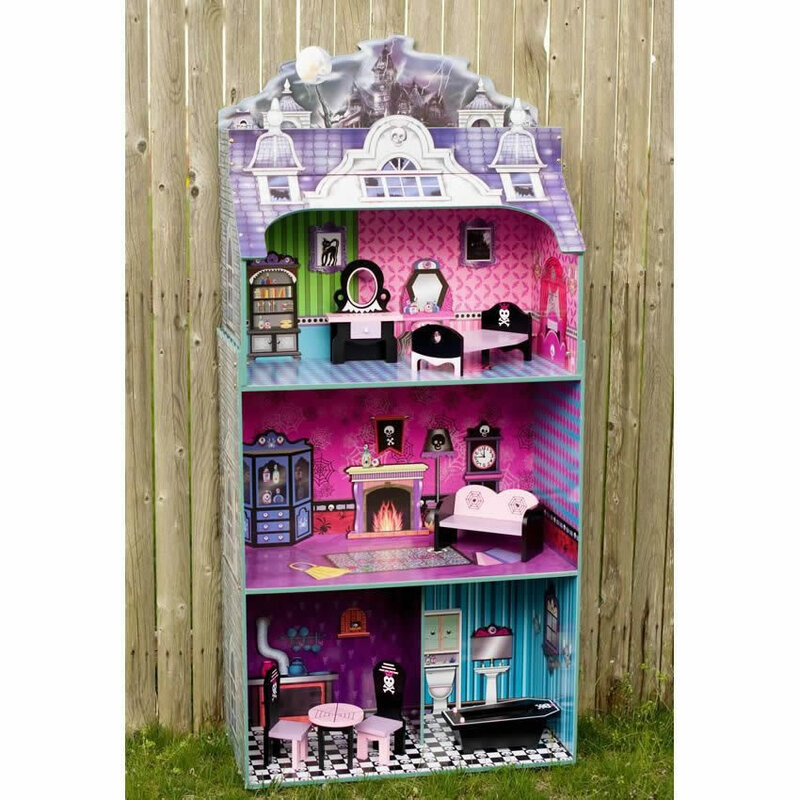 W-11094A - Doll House - Monster Mansion - Have your little one experience our Spooktacular doll house. They are sure to love playing with this 3 story, 4 bedroom eerie temple of terror. Doll house is fully equipped with high quality design and features an antique looking exterior that is grey and green to show an aged look. 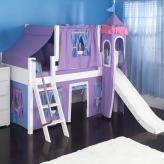 The front is completely open faced to make play time easy and convenient. Inside their dolls will enter the foyer on a black and white marbled looking floor. Both rooms on the first floor are decorated with colorful and vibrant looking wall paper. As the dolls make way to the second floor, they will warm their cold hands by a blazing fire place and admire a grandfather clock. The penthouse floor is the master suite and has plenty of room for a multitude of different pieces of furniture. 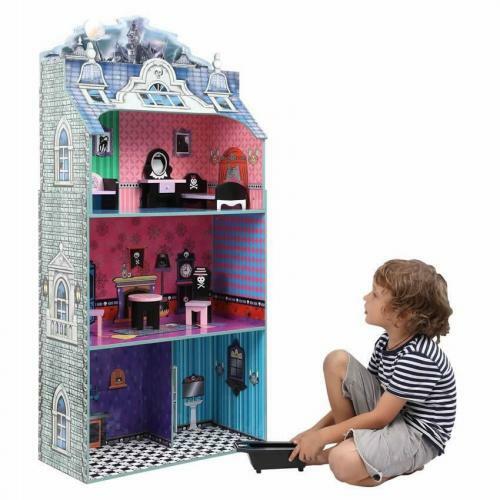 House includes chic black and pink furniture with skulls and spider webs. With high ceilings, dolls will walk like soldiers through the rooms, back straight, head up, because there is no chance they will bump their heads here. 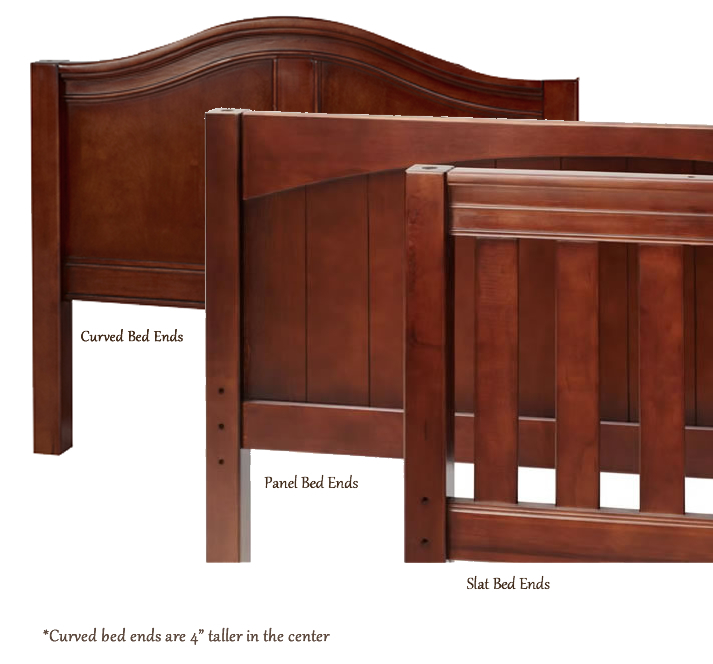 Furniture consists of a couch, bed, vanity, table and chair set, and a coffin to be used as a guest bed for the additional room on the second floor. 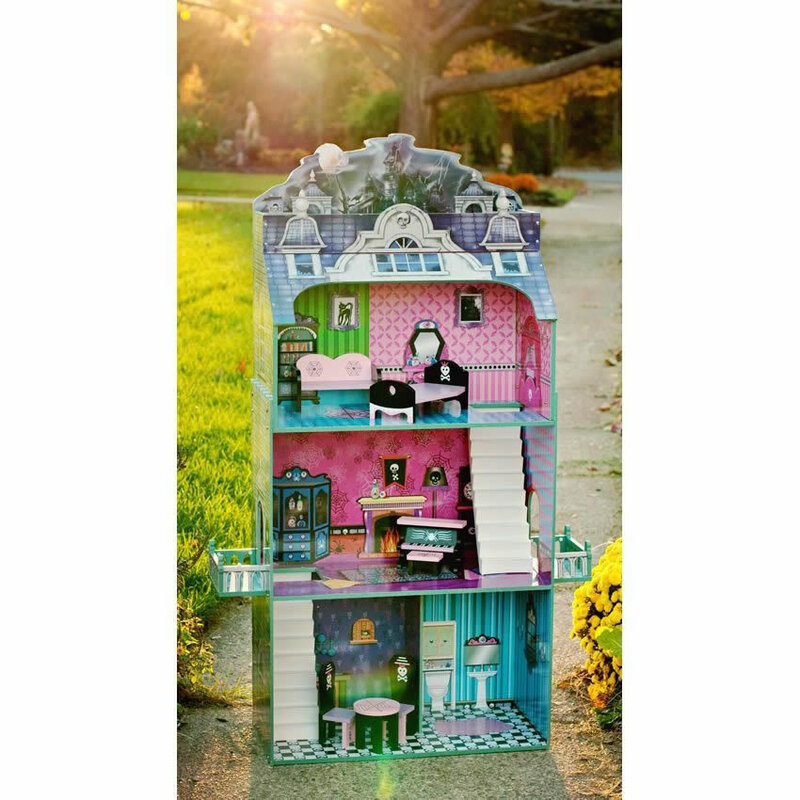 Doll house is FSC certified, environmentally friendly, made from quality wood, hand painted and handled with love. 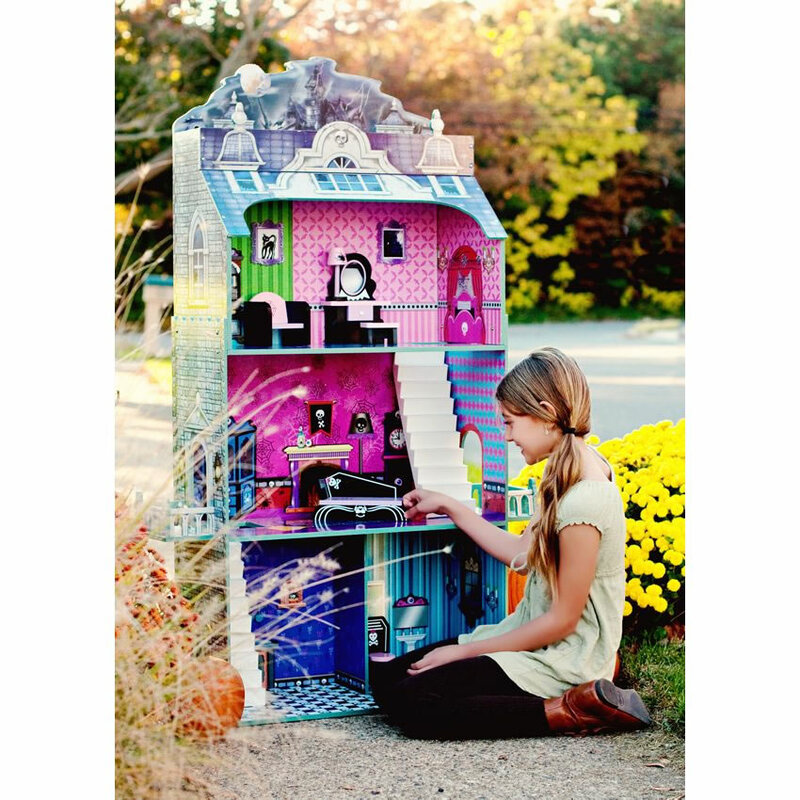 Bring home a doll house like no other and have your kids shrieking in satisfaction. 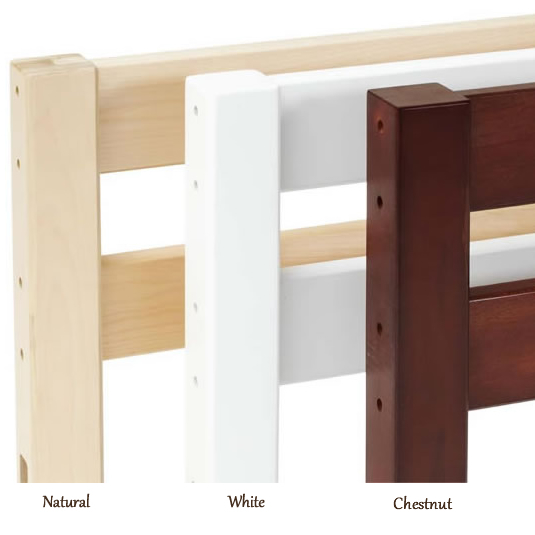 Perfect for ages 3 and up some assembly required.